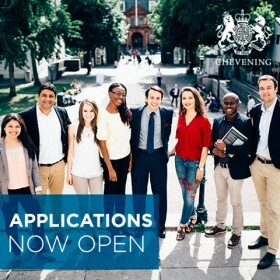 Government House has announced that applications for the 2018/2019 Chevening Awards are now open. A Government House spokesperson said, “We are pleased to announce that applications for 2018/2019 Chevening Awards are now open. Applications from Bermuda are encouraged to apply. “Chevening is the UK government’s global leadership programme, offering fully-funded scholarships and fellowships for future leaders and influencers to study in the UK. “If successful, you will live and study in the UK, during which time you will develop professionally and academically, network extensively, experience UK culture, and build lasting positive relationships with the UK. “So, if you believe that now is the time for you to grow into your full potential, apply before the 7 November deadline at www.chevening.org/apply.